Earth bars provide a convenient common earthing point for electrical installations - copper earth bars are available with single or twin disconnecting links which means the earth bars can be isolated for testing. AN Wallis earth bars are made from high quality hard drawn copper bar. Customised earth bars are available according to client specification including 600amp and 1000amp heavy power earth bars. 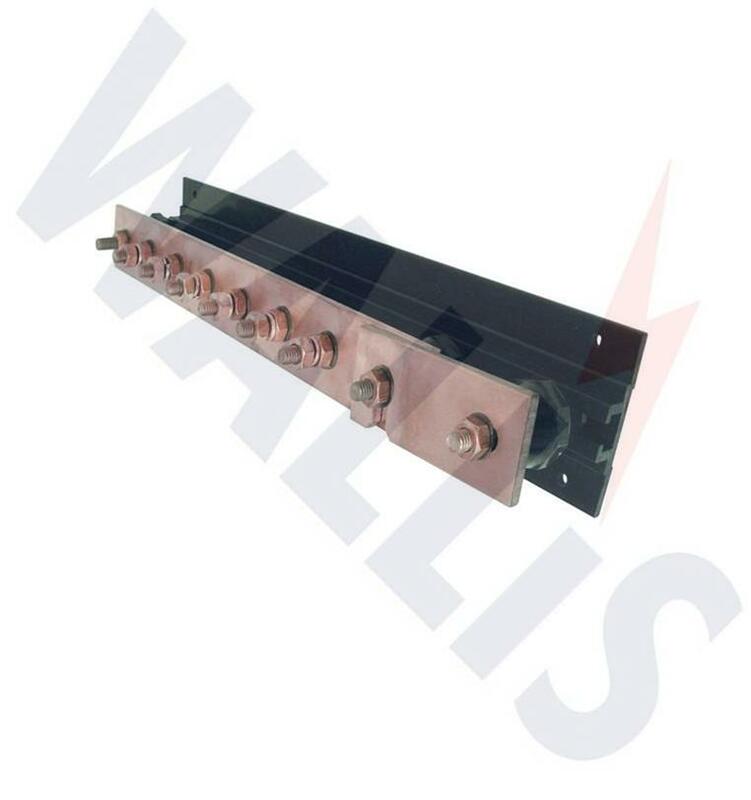 AN Wallis manufacture earth bars to your requirements using quality copper components- this customised service is tailored to your project requirements. Any size of copper earth bar can be sourced, fixing materials changed and channel bases can be redesigned to enable a product to be engineered that meets your exact earthing requirements. Copper earth bars are made from 50x6mm hard drawn copper bar to BS EN 13601 - tinned copper earth bars also available. Wallis copper earth bars recommended fixing is by countersunk wood screw 1½” x No. 12 and No. 12 wall plug. Pictured : Earth Bars - AN Wallis copper earth bars are available as standard or with single/twin disconnection links.